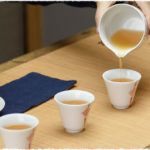 Tea, “茶”, has been a preference for health regimen since Chinese ancient times. People drink teas to seek different health benefits in different seasons. So, what are the benefits of tea drinking in winter? 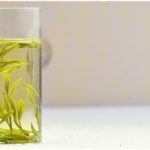 Many people have heard a saying about aged white tea: “one-year tea, three-year medicine, and seven-year treasure”, but they aren’t clear about the reason. As if we say Pu’erh tea “the aged the better”, which means it will taste more mellow and smooth during the aging process because of the ingredients transformation. Can we drink tea instead of water? 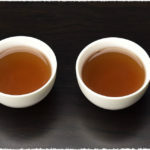 In our daily life, more and more people love drinking tea, for tea not only has rich and wonderful taste, but also has a beneficial effect on the our body. Tea is good, but is it good that we use tea instead of water or even only drink tea? Let’s analyze this question from the scientific point of view. Which kind of tea is more suitable for drinking during autumn? Teavivre recommends osmanthus Tea. Tangerine is famous for its unique pungent and bitter taste and healthy benefits and the Yunnan puerh has a long history of been one of the favorite teas in China, when people made these two into a new tea, people love it and willing to give it a try. The key to make your body more health by drinking tea is to master the best time to drink. Many people get into the habit of drinking green tea, and there are many benefits of drinking it on a daily basis. But, is it safe to drink green tea during pregnancy? Hope you find answer in this article. Will your evening tea cause difficulty sleep? Many people be afraid of the influence of the caffeine in the tea, and worried it would affect our sleep. Hope this article is useful for you.